Whether you’re new to boating or new to Western Australia, there are a few things to keep in mind when applying for your boat licence. Firstly, a boat licence in Western Australia is called a Recreational Skipper’s Ticket (RST), allowing the holder to operate a power boat. You will need one if you’re the person in charge of a vessel with an engine power greater than 6 hp. You will need to have the ticket with you any time you are on the vessel, on the water. Applicants must be at least 14 years of age and follow the rules and regulations of the licence. Before taking the assessment you will need to provide proof of eyesight requirement, your medical fitness, ID, and a letter of consent if you are under the age of 18. Taking a training session or course is not compulsory. You have the option of studying the RST Workbook yourself and learning to drive with a supervising skipper if you know one. When you feel you are ready you can take an RST Assessment with an authorised provider. The assessment has a theory and practical element to test your knowledge of boating safety and your skills. The theory element involves 40 multiple choice questions in which you need at least 34 correct answers. The practical section involves a short boating trip with your assessor. This test is for your boating skills and your ability to cope with unexpected events. Of the 62 criteria you will be tested on, you need to pass at least 56 to be considered competent. There are only 11 tasks you will be asked to complete in the assessment and it should only take an hour. Once you have passed this assessment you will be eligible for your RST. The assessor will provide you with an interim certificate, and the RST card will arrive in the mail within two months. You may be able to bypass the assessment if you have a recognised qualification from another state of Australia. If you have any of the following you may be exempt and be able to apply for an RST immediately. While there are no government fees involved in getting your boating licence in Western Australia, you will need to pay for the assessment and any additional training you feel you need. These fees are not regulated so you can shop around for the best price. If you need to take the test more than once you may need to pay for each assessment. If you lose the RST card though, you will be required to pay a fee for its re-issue as you are required to carry the card whenever you are on the water. Are you getting your RST or just been approved? Talk to us at BoatFinance.com.au about getting out on the water. We offer a range of services including boat loans, marine insurance, extended warranty and pre-approved loans. 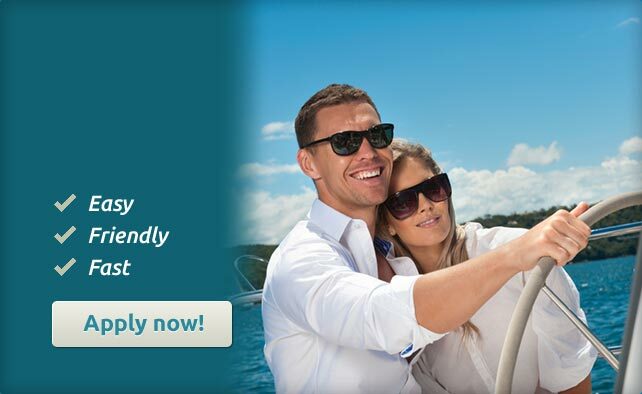 Ready to apply for a boat loan? Call us on 1300 880 883 or simply apply online to get things moving.